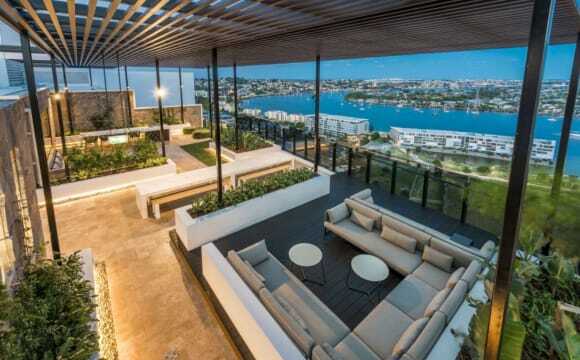 Located at Gasworks Newstead, 2.5km from the CBD above Woolworths, Standard Market Co, City Glider bus stop and more. 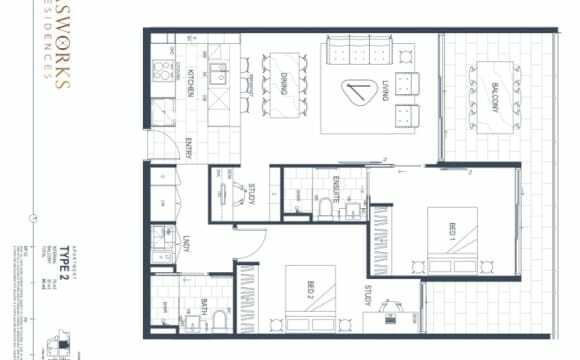 Two bedroom / two bathroom apartment on level 10. 12 month lease. Available from 15 May. -	Apartment for rent is labelled Bed 2 on floorplan -	Own bathroom -	Unfurnished bedroom -	Ducted air conditioning throughout -	Built in desk -	Built in wardrobe with sliding mirrored doors -	Rooftop pool, gym &amp; BBQ area - Balcony access from both bedrooms -	Bills additional – electricity, hot water, air conditioning and internet The apartment is furnished but I'm flexible on this. A secure car space may be negotiable through another resident. Smoke free environment. Sorry no pets. Please contact me if you have any questions. Amazing location! Located above Woolworths, Standard Market Co, Chemist, City Glider bus stop and a number of restaurants. 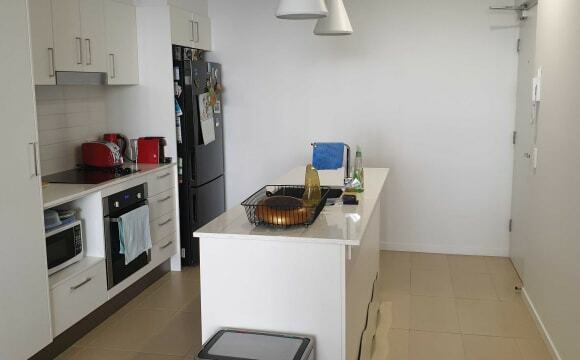 Large two bedroom/ two bathroom apartment on level 6 with a big kitchen, living space and balcony. Ducted air conditioning throughout. Beautiful view. 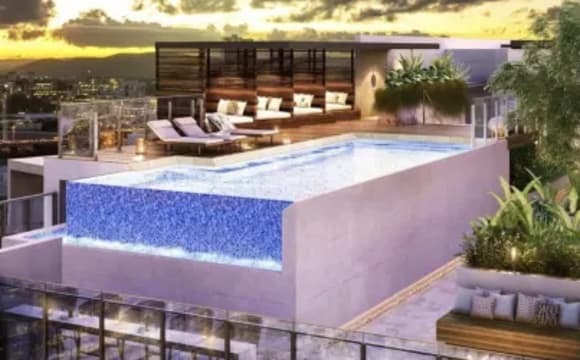 Brand new complex - 25m rooftop infinity pool, gym and yoga lawn. Secure car space negotiable. Bills include electricity, water, air conditioning and internet. i and my partner are leaving for Italy on June and we are looking for someone to take our beautiful apartment in Newstead for the whole month, Situated in a modern building with sauna, swimming pool, cinema and gym. 1 bathroom and 1 bedroom (queensize) Please write in private if interested. This fabulous, airy 2bed, 2 bath, 1carspace apartment located on the 16 floor of the Skyring complex is available late April/early May. Everything that you could possibly need is at your finger tips including cafes, restaurants, gyms, Woolworths and public transport. Just 3km from the CBD. 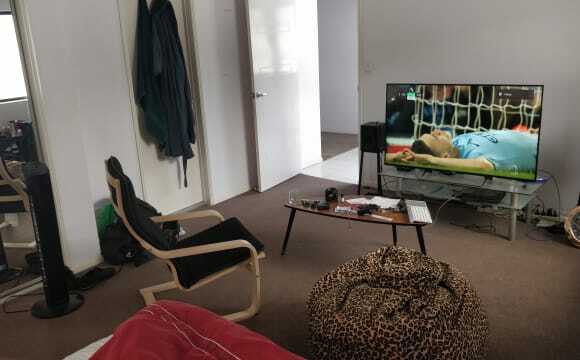 LARGE room, MASSIVE apartment , GREAT Location! This is value for money at its best!! Great price for a room this big, this close to the city! It’s a huge unfurnished room with a walk-in robe - I currently have a big tv set up, coffee table, armchair, desk chair, beanbag, queen bed, and some shelving in there and it doesn’t feel cramped! The room will come unfurnished - this a just a reference for how much room there is! The room has two sets of windows so gets a decent amount of airflow. The apartment itself is also big with high ceilings, wood panel floors, carpeted bedrooms and a massive recently refurbished balcony with great views. 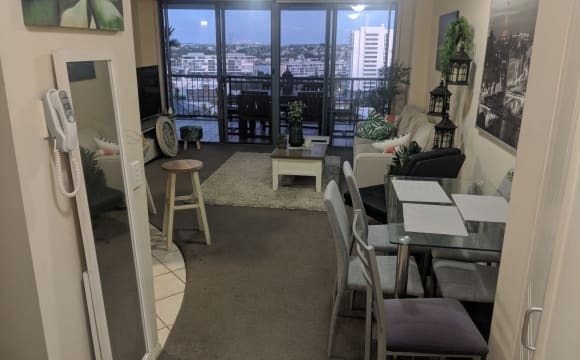 Just a short walk to Gasworks for dining or shopping, and an even shorter walk to Bowen Hills train station which will have you in the city in 4 minutes. 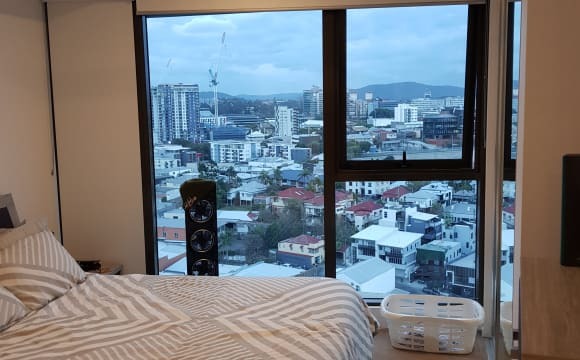 Fortitude Valley is just a 15 minute walk, or a $7 uber ride! The apartment is equipped with ducted AC and all shared living spaces are furnished including kitchen utilities and appliances. The bathroom has 2 basins, a shower and bath with a separate toilet. There is a 2 car garage with one spot that will be yours if you need it! The street is actually quite quiet, the only traffic you'll find here is on a Sunday morning when the Church across the road is in session! Prefer single occupant only, and must be willing to sign on to the lease. Water included in rent, power/gas/internet is separate. 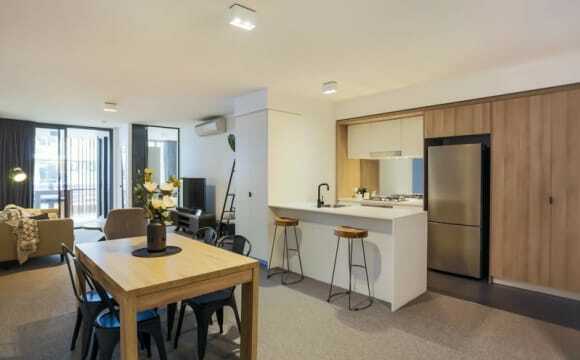 This property is close to Fortitude Valley for the partiers, close to Woolworths, Aldi, First Choice and a range of restaurants. It is also about a 10-15 min bus ride into the city. Also, there is one secured car park! 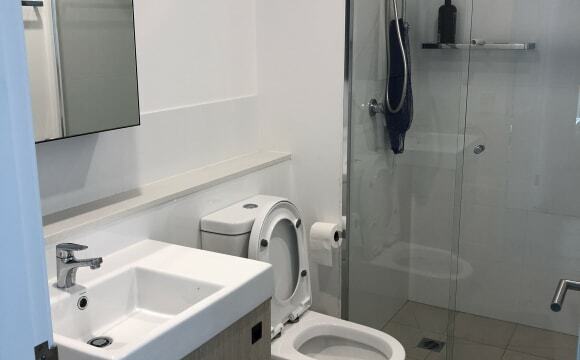 One room has an ensuite and there is a second bathroom/toilet. It has a pool, air conditioning, balcony, gym, and easy Body Corporate rules. NBN internet can be connected and used on a pay as you go basis - no setup fees!! The current lease expires mid-January. We are trying to get one or two people to take over the lease because I am traveling overseas for 3 months and my flatmate will move out. We can send more pictures. Great location and price!!! The property is amazing! Whole city view, 2 minutes to gasworks and 5 minutes to the city cat. Building has a pool and a gym. I have loved every minute living in this building, the apartment is only a couple of years old. Hi there My name is Jonathan. 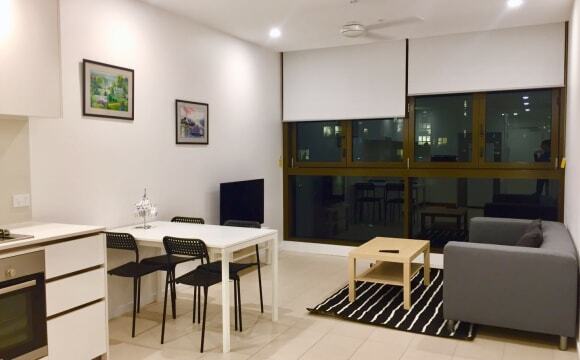 I am in search for a couple or two single renters to replace myself and my house mate in our current apartment as I am moving out and my house mate will be traveling overseas for an extended period of time come early May. The apartment is on the 13th floor and offers an indoor outdoor living feel with a large balcony coming of the main lounge it’s easy to entertain all your guests. 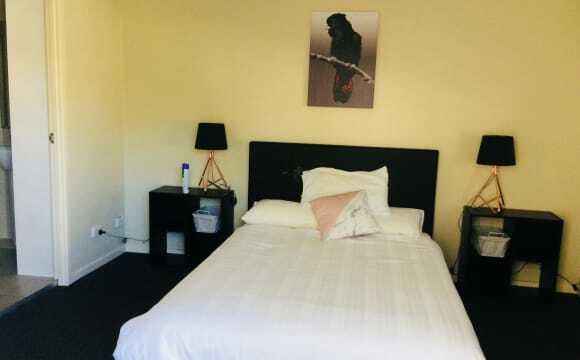 Each bedroom has its own bathroom as well as ducted aircon, a built in clothes dryer and washing machine. 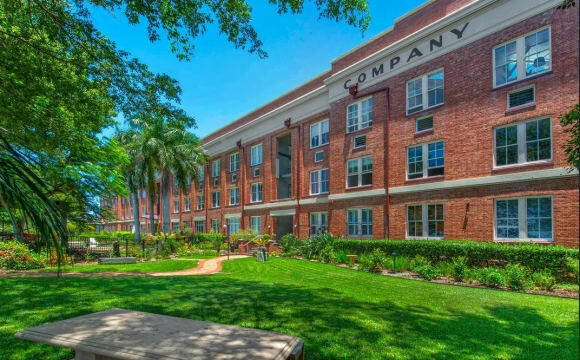 The building is in a great location and and for the size of the apartment the price is amazing. Please see building website below. Building web site below. https://www.newsteadrental.com.au/about-laguna/ Please don’t hesitate to contact me I look forward to talking to all potential applicants. 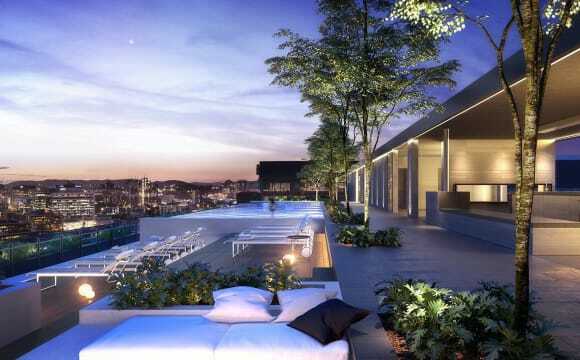 Modern two bedroom two bathroom apartment. Ducted air conditioning. Secure intercom entry. Plenty of on street parking. 20 apartments in all. Am on the third floor with balcony on a hill with good views of surrounding suburb. Bus and train are 3mins walk away. Lovely breezes from balcony. 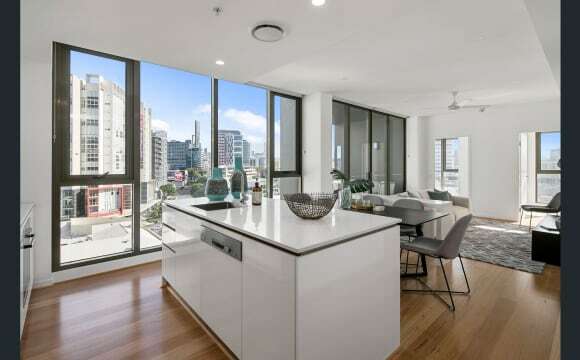 New modern apartment with great convenient location with park and city views on the top floor. Full security screens and balcony overlooking the park with lift and security. Train and bus straight across the road and cute latin cafe on the corner with amazing empanadas and coffee. 15-20 minutes walk to the river walk which will take you to Woolworths supermaket and cafes restaurants and shops alternatively Aldi is also close by or even walk into the valley. Bills and internet will be split between the 2 of us. 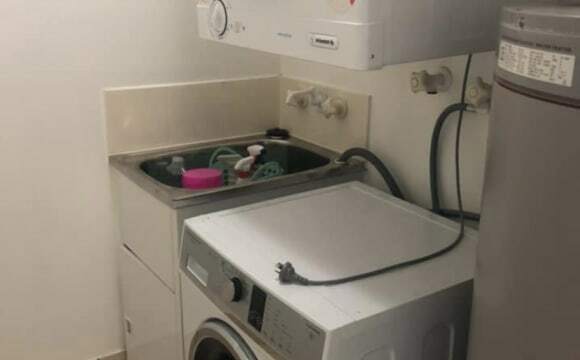 Try to also keep air conditioning and dryer to a minimum to keep the cost down and would like the new flatmate to do the same. Property is through the realestate so will need to sign a lease and be approved with bond of $900 and 2 weeks rent $500 so total $1400 will need to be paid upfront before move in date. I will be moving in on the 12th April as this is when my lease starts. 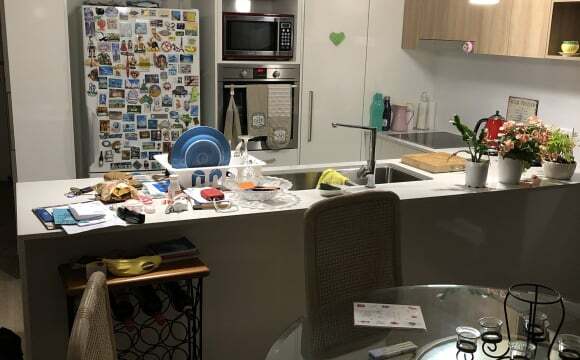 Apartment is very modern, great location, fully ducted and sectioned air conditioning, gym, rooftop pool, gas stove, own bathroom that is close to your room. Rent and all bills will be split down the middle, if you require a park they seem to be going for $30 a week Absolutely great quality apartment.